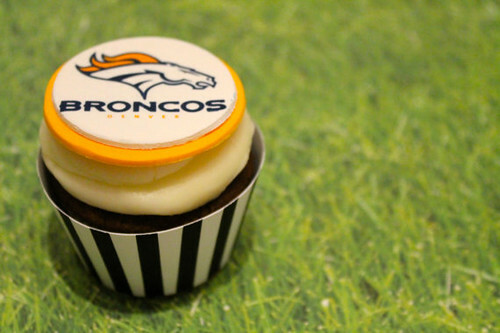 You just might be able to get these cute edible fondant Super Bowl cupcake toppers in time for the Super Bowl if you order now (I may no guarantees!). They're by Etsy seller StudioSweets who writes: "All items in the shop are made to order, and some naturally take longer than others to create. 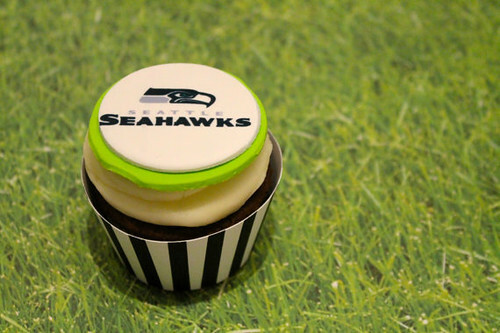 Cupcake toppers can generally be ready to ship in as little as 3 days. Once shipped, they will take another 2-3 days to reach you." 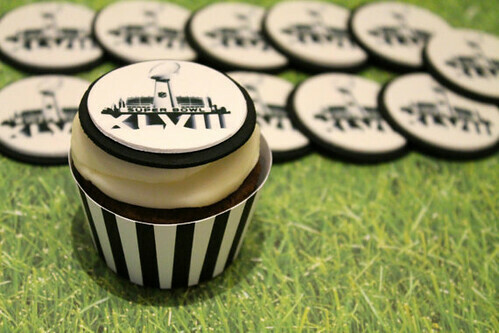 $20 gets you 12 toppers and "If chosen, you will also receive twelve (12) referee stripped cupcake wraps to complete the look you see pictured!"